Mary Dixon Still, MSN, RN, ANP-BC, clinical nurse specialist at Emory University Hospital has been recognized as a 2017 National Magnet Nurse of the Year by the American Nurses Credentialing Center (ANCC). Still was one of five nurses to be awarded at the ANCC National Magnet Conference in Houston, Texas earlier this month. The National Magnet Nurse of the Year award recognizes the outstanding contributions of clinical nurses for innovation, consultation, leadership and professional risk-taking. Still was presented with the "Transformational Leadership" award for her leadership in sepsis mortality reduction. Several years ago, Still began noticing that sepsis was taking the lives of a disproportionate number of patients. She developed an inter-professional team to address this concern resulting in a system-wide sepsis protocol, which has led to decreased mortality in patients by ten percent, as well as decreasing a patient's average length of stay in the hospital by 35 percent. Still has also been instrumental in Emory's work in providing continuous renal replacement therapy for patients in acute hepatic (or liver) failure outside the walls of the ICU and into the operating room during liver transplantation. She coordinated and trained, in collaboration with her staff, a team to provide Molecular Adsorbent Recirculating System (MARS) therapy. This device provides artificial liver support for the treatment of liver insufficiency for acute liver failure patients. Another project Still has focused on is reducing hospital-acquired pressure ulcers through turn teams and weekly rounds. 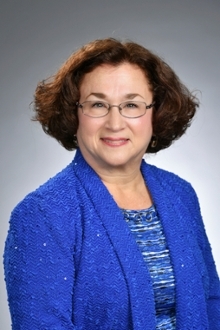 "We are proud of Mary for her long-standing dedication and commitment to patients and their families at Emory University Hospital, where she has practiced for more than 30 years," says Sharon Pappas, PhD, RN, chief nurse executive at Emory Healthcare. "Her exceptional leadership is an inspiration to all nurses and care teams that work with her daily." Pappas is one of the national Magnet commissioners, who also presented Still with her Magnet Nurse of the Year award in Houston. "When I was 15 years old, I watched my mother have a heart attack and I felt totally helpless," says Still. "I knew then my calling was to be a nurse, and I've never looked back." Still attributes her successes as a nurse to the amazing teamwork and collaboration with colleagues at Emory. "My daily motto is patience, persistence and preparation," says Still. "These three areas of focus have served me well as a nurse and a nurse leader." This is the second year in a row that a National Magnet Nurse of the Year Award has been granted to an Emory nurse. Last year, Sharon Vanairsdale, MS, APRN, ACNS-BC, received a Magnet Nurse of the Year award for Exemplary Professional Practice for her role as program director for Emory's Serious Communicable Diseases Unit. The specialized unit cared for four patients diagnosed with Ebola virus disease in 2014.